Real doctors from the front lines of medicine engage the man-made crisis in American Healthcare. Hal Scherz, MD FACS (Pediatric Urologist) and Michael J. Koriwchak, MD, Otolaryngologist (Head and Neck Surgery) airs The Doctor's Lounge on America's Web Radio on Thursdays at 8:00 am Eastern. "Every hospital has a private area where Doctors go to get a cup of coffee and get together to talk amongst themselves to discuss medical and health care matters... This show is a window into the private conversations doctors have that impact your world." 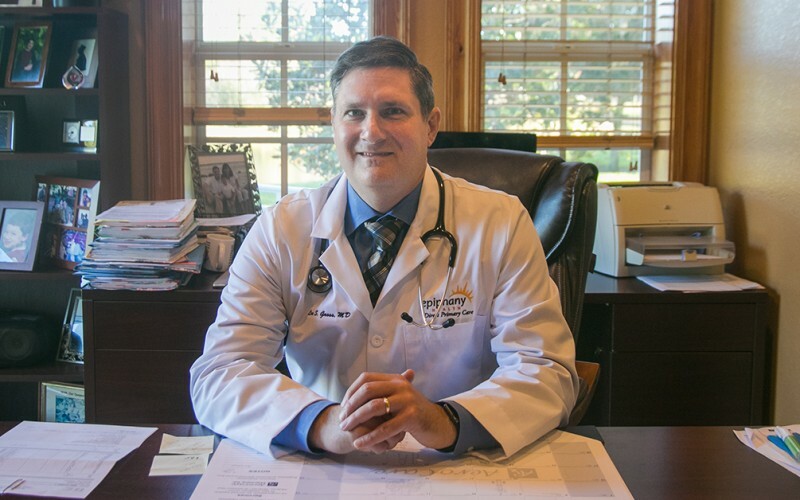 Host Michael Koriwchak, M.D. recorded a multitude of interviews with the thought leaders in Direct Primary Care and health policy at the 2018 DPC Conference. This new series will bring the best insights from the conference in candid interviews conducted by participants after stepping from the main stage. Our premiere episode features the primary funding organization fueling the success of our national conference, the Physicians Foundation. Listen in as Dr. Koriwchak interviews key leaders about the foundation and their support of DPC. Long thought to be the Achilles Heel of Direct Primary Care, extended specialty care is being addressed. HIPnation out of Atlanta is a Direct Primary Care practice of physicians which ALSO offer specialty services. Brian Hill, M.D., one of the founders of HIPnationsteps into the Doctor’s Lounge to explain the importance of specialty care and the disruption to the typical insurance model that happens when combined with Direct Primary Care. Host Mike Koriwchak is preparing an hour of rapid fire news that will impact health care nationwide. First, a sneak preview of the next DPC conference in Orlando, FL. Second, a field report on the recent trip to brief policy makers in Washington, DC by Mike and fellow co-host Hal Scherz, M.D. Third, the innovations in tech continue to impact the future. Mike reviews the new Apple Watch with its FDA approval for a heart rhythm strip. Host Hal Scherz explores the way regulations are creating an environment driving physicians out of health care. The larger impulse to centralize the control and delivery of health care on the surface promises to lower costs and deliver care to everyone – by rule of law. The reality became a legion of bureaucrats creating a new regulation for every problem under the sun. Costs skyrocketed creating the “big medicine” leviathan of government, insurers, and vast administrative health care delivery systems. Host Hal Scherz, M.D. explains how the best intentions have morphed into a philosophy whose only answer is controlling doctors and restricting care. Dr. Gross joins host Mike Koriwchak to discuss the policy rolling out at the Department of HHS and the reasons behind spiraling health care costs. Sally Pipes of the Pacific Research Institute has been a publishing machine this past quarter, providing editorial after editorial highlighting the failures of socialized medicine around the world. Pipes, a member of the D4PCF Advisory Board, steps into the Doctor’s Lounge to discuss the catastrophic impact of single payer medicine. This episode is especially timely as the Kaiser Family Foundation reports the student caucus convinced the AMA to study reversing the long-held position against socialized medicine. Join Dr. Hal as he discusses problems with single payer coverage compared to primary care. Join Dr. Mike and his guest as they talk about primary care.